This is my week as canon-in-residence in Christ Church Cathedral, Dublin. 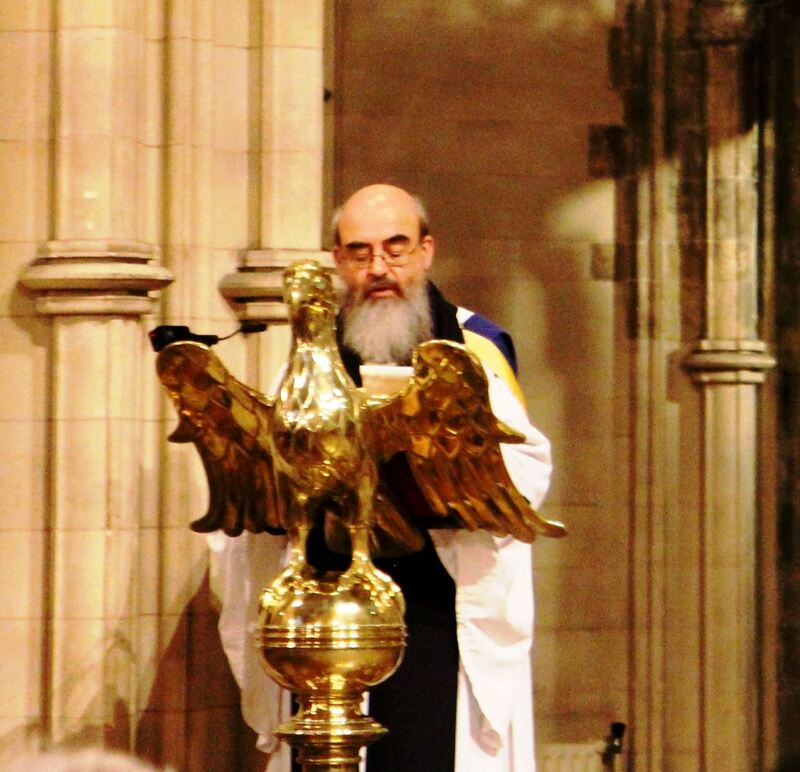 Each year, the members of the chapter are expected to spend a week in each half of the year as canon-in-residence, and as the Fourth Canon in the cathedral chapter, I preached at the Cathedral Eucharist and Act of Remembrance on Sunday morning [13 November 2016], and read the second lesson at Choral Evensong. This Ecumenical Festal Evensong opened a week of events to mark the 800th anniversary of the union of the dioceses of Dublin and Glendalough 800. The Dean of Christ Church, the Very Revd Dermot Dunne, presided at Evensong, and the preacher was the Roman Catholic Archbishop of Dublin, the Most Revd Diarmuid Martin. This service of Evensong was sung by the choirs of Christ Church and the girls’ choir of Saint Mary's Pro Cathedral, with the performance of a new anthem and two new hymns commissioned to celebrate the life of Saint Laurence O’Toole, the patron of the diocese. The new anthem has been composed by the English composer, David Bednall, who has a growing reputation as one of Britain’s finest composers. The two new hymns were translated and versified by Canon Dr John Bartlett, drawing on the 13th century Vita of Saint Laurence O’Toole. The chapter of Christ Church Cathedral then met in the Chapter House on Monday [14 November 2016], the feast of Saint Laurence O’Toole, Abbot of Glendalough and Archbishop of Dublin. The meeting was followed by a celebration of the Festal Eucharist in the Cathedral. This evening, I am attending a meeting of the cathedral board in the Chapter House. The events marking this anniversary continue throughout this week, with a series of public lectures at lunchtime and an exhibition on the life of Saint Laurence, which opened in the Musicians’ Corner on Monday and continues throughout this week. The Laurence-tide lunchtime lectures this week include Seán Duffy on Hiberno-Norse perspectives on the union of the dioceses of Dublin and Glendalough; Michael O’Neill on the Cathedrals of Dublin ca 1216; Rachel Moss on the churches of Glendalough ca 1216; and Adrian Empey on Anglo-Norman perspectives on the union of the dioceses of Dublin and Glendalough. This week of celebrations concludes with the Cathedral Eucharist next Sunday morning [20 November 2016] and a Diocesan Evensong, sung by choirs from parishes throughout the dioceses. The preacher at Evensong that afternoon is the Archbishop of Dublin, the Most Revd Dr Michael Jackson.